Creating a carpeted tank is one of the most common goals, and for good reason—it’s a beautiful style to achieve in an aquarium. 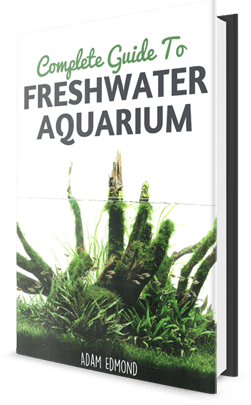 The pearling effect and vivid green perfectly accents many styles of Aquascaping used today. However, it can be tricky to do, especially if you aren’t experienced with optimizing plant conditions like CO2, light, and fertilizers. Give yourself some patience, the right knowledge, and some time, and you’ll have that beautiful green carpet. There are a few great resources like this one online. Certain types of plants will naturally tend to create the ‘carpet’ effect. These plants require certain types of lighting conditions, and you’ll need to make sure they’re met properly in order to encourage proper growth. Cuba is one of the smallest aquarium plants in the world. Its grows over the bottom of the tank with tiny round leaves, and—like most carpeting plants—it spreads rapidly when separated and planted in clumps with a grid-like pattern. Glosso is another small plant that’s perfect for carpeting. It is a difficult plant; you’ll need a significant amount of light to keep it from simply growing upward. It also prefers softer water, and CO2 helps it grow at an optimal rate. Dwarf Hairgrass looks beautiful in a carpeted tank. It looks particularly appealing when it’s being trimmed, as many YouTube videos show. It does, however, need CO2 to grow at an optimal rate. If given the correct conditions, it’s not uncommon for your carpet to require trimming every two weeks. You can find out more in this article about Dwarf Hairgrass. If you’re looking for the optimal results, it’s best for the plant to be split and planted in a grid pattern. When you start planting, split the plant into small portion and space them apart to give them space and opportunity to grow in a grid pattern. If you’re efficient, it’s possible to get quite a few plantlets from one pot. Remember, while spacing the plantlets in a grid pattern will increase the speed at which your carpet grows in, the more pots you use to initially plant your carpet, the faster it’ll be filled in. I’ve had good results from InvertObsession on Amazon. Because you’ll be planting such a small plantlet, many common substrates are too coarse to properly hold the plant down. It’s most effective to use a powder-type substrate like Tahitian Moon Sand or ADA Amazonia mixed with a nutrient-rich substrate, like CaribSea Eco-Complete or Flourite. No matter what type of substrate you get, make sure to mix the nutrient substrate with the powder-type to prevent root constriction that may occur in a fine-powder substrate. Otherwise, the fine powder may constrict the roots of certain plants, preventing them from growing properly. When you start your carpet, it’s important to actively monitor the parameters of your water, as well as visually checking for growth and signs of browning and melting that may signal a needed change in lighting or water conditions. To keep your carpet growing compactly as it should, you’ll need to trim it occasionally, depending on your growth rate. For optimal conditions, you’re looking at trimming your carpet at least once every 10 days. If you’re not providing CO2 (which you should be, for the best results), you’ll probably only need to trim it once every three to four weeks. Have you had success doing a particular technique in your tanks? What type of substrates grow best for you? Join the conversation for more information. If you enjoyed this article, help us out and Like Us on Facebook for more updates. UPDATE: To celebrate our opening, we’re giving away a full set of Aquascaping Tools to an AquariumGuide Reader! You can find more information on our Facebook Page. PS: Check out our infographic on carpeted planted tank. That should be fine. What type of plants do you have in mind for your carpet? One advice that I can give is to give it a good trim to stimulate horizontal growth after a few days. This way, your DH will not only grow upward towards the light but also horizontally which is the ultimate aim for getting a carpet effect. Hi, i am trying to make my first carpet. Can u please suggest combination of carpet plants? Hi Nikhil, sure but first I will need some info about the setup you intend to do. High tech or low tech? I want to start a low tech planted aquarium and want to know what’s a good hardy carpet plant to have. It would be good to know what exactly do you mean by low tech. Your lighting? etc. But you could always start with java moss on a mesh wire. With proper LED Lighting, you could try java moss carpet. Baby tear carpet is what I’m interested in,what kind of maintaining is required? Hi, I have a 20 gallon long tank 12″ high. I have the finnex planted plus 24/7, seachem flourish, but no co2. What carpet do you suggest? Hey Blake, I would suggest Cuba (Hemianthus Callitrichoides). Right now I have added ADA Super 4 at base then; ADA power sand & ADA AMAZONIA mix layer + fluval stratum 2kg + ADA AMAZONIA SAND about 7 used from 9L bag and Kept the sand filled with water above layer 2 cm with stones & Wood arranged. I have used 2 Fluval 39W T5 Tubelights. So please help which carpet will be easy to use & best for Discuss. Also want low maintenance. But Can I try using Cuba ? . Even after I allow fresh air to pass for 20 mins; shall I just spray water on the plants to make them moist ? You can try Cuba but it is a little challenging. You don’t have to spray water if your substrate are moist but it doesn’t hurt to spray them. What is your opinion about using Monte Carlo? Or Some other grass type? Monte carlo is a nice plant and quite easy to maintain. A good choice. I have started HC Cuba emersed setup. Planning to moving this to my 2 ft tank once I have enough in quantity. I have a 2 T5 lighting and Platinum soil as substrate. Can it survive without CO 2 ?Even I dont want it to grow much after I submerse it. Most plants can thrive on a sand substrate. In fact, smaller plants will do well as its roots wont get cut by the bigger size gravel. The important factor are lights and nutrients. =) Anyway, here are some suggestions: dwarf hairgrass, potamogeton gayi, smaller cryptocyornes. What carpet plant should I try, I have a 55gallon t top, with two 30″ fluorescent fixtures and a double incandescent on the side and a 16 meter 5050 led strips,skinny aubias Nana, a beta and 20 goldfish, and a nerite snail can and five fake plants, 6 decor and substrate is pebbles, and two big logs, what can I do? It sounds like your tank is overloaded with the 20 goldfish that you have. Anyway, it is hard to have a carpeted tank with pebbles as your substrate as it will not be able to hold the plants down. Plus, your goldfish will have a go at it even before your carpet can grow. Thank you for providing such a great website with super useful and practical advice. I have a betta currently in a 1gallon bowl (it was given to me as a gift like that.) I already bought a 3gallon tank yesterday and have put in it substrate and trying to grow java moss. .. I really want to transfer my betta into the new tank asap, as it’s winter here and I can’t heat the small bowl (and I can tell my fish is not happy and not eating). But, the guy at the aquarium shop told me I need to cycle the tank for two weeks before I can put the fish in. Is this because of the toxins that the substrate and growing plants emit? And if so, can you advise a way that I can test the water for appropriate levels? I’ve got the new Fluval Spec V, with brighter light (7,000K LED), and would like to grow a carpet for a shrimp habitat. I’ve got Seachem Flourite black sand for my substrate. Any recommendations on a carpet plant would be appreciated! Thanks! I would really love to have a carpet plant, I have 3 60 watt cfl flood lights directly over my 55 gallon tank (6500k) and a sand substrate. Is there a carpet plant I can plant directly in my already established tank? I have liquid and dry ferts and no co2. Hi, great website. Trying to work on the substrate, I’m using the Carib Sea Tahitian Moon Sand and the Eco-Complete for a 30 gallon tank. What’s the ratio of Sand to Eco-Complete? Hi Shiv, if there are live plants in your aquarium. It is best to fertilize it if you want your plants to grow well. But do read up more on it. Hi I am planning for a planted aquarium with carpet, once the carpet are planted how long should the light be on and will I encounter algae initially, if yes how to avoid it. And what stage can my carpet plants be fully submerged in water. I just started a low tech ( without CO2 but with medium LED light) planted aquarium. I will be using African as substrate. Please suggest which plant should I use as carpet? Hi, I have a question about dry starting with seeds… Do you sprinkle/sow the seeds on the substrate and cover them with gravel, or just sprinkle straight onto the gravel and wait?